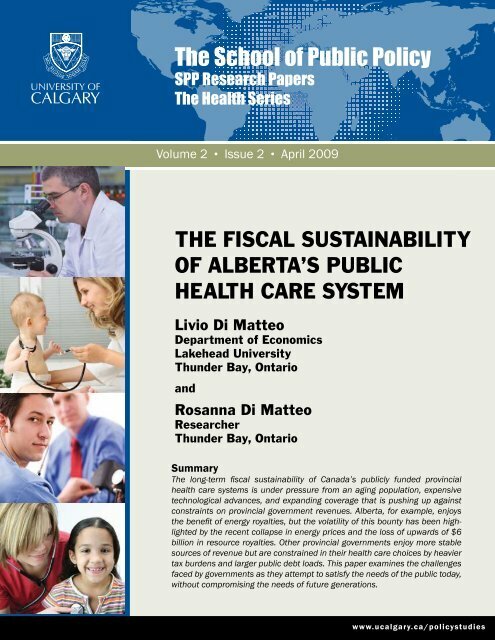 The School of Public PolicySPP Research PapersThe Health SeriesVolume 2 ● Issue 2 ● April 2009The Fiscal Sustainabilityof Alberta’s PublicHealth Care SystemLivio Di MatteoDepartment of EconomicsLakehead UniversityThunder Bay, OntarioandRosanna Di MatteoResearcherThunder Bay, OntarioSummaryThe long-term fiscal sustainability of Canada’s publicly funded provincialhealth care systems is under pressure from an aging population, expensivetechnological advances, and expanding coverage that is pushing up againstconstraints on provincial government revenues. Alberta, for example, enjoysthe benefit of energy royalties, but the volatility of this bounty has been highlightedby the recent collapse in energy prices and the loss of upwards of $6billion in resource royalties. Other provincial governments enjoy more stablesources of revenue but are constrained in their health care choices by heaviertax burdens and larger public debt loads.  This paper examines the challengesfaced by governments as they attempt to satisfy the needs of the public today,without compromising the needs of future generations.